I did the whole select colour -> fill colour thing but all the edges are frayed, how to fix this. Also tried the colour exchange mapping, didn't work so well. To remove small holes and dents in a selection, you can try Select>Grow by one/two pixels followed by Select>Shrink by the same amount. For more specific recommendations, please post an extract of the original image. 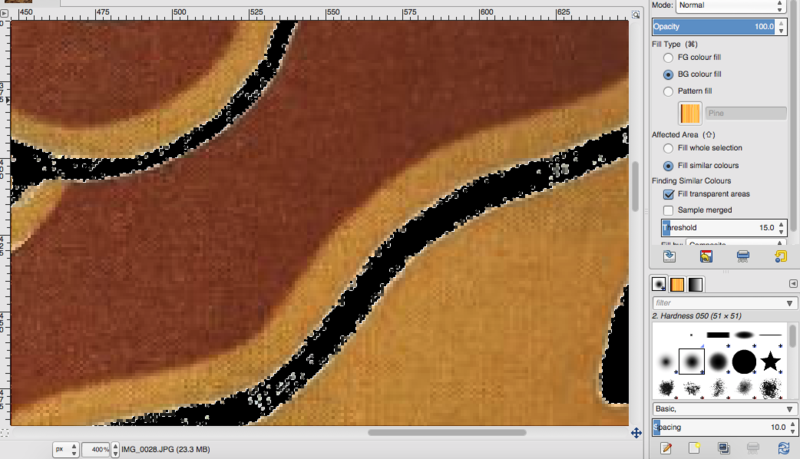 how to display current colour values of pixel under cursor in gimp? GIMP - How do I change UI DPI?